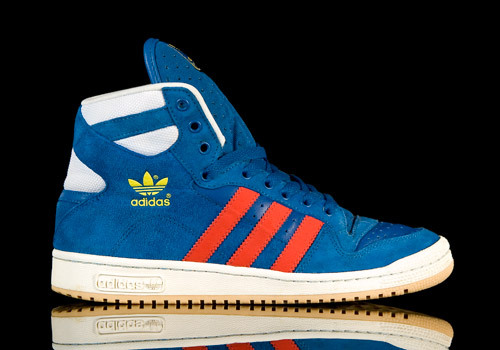 Since 1985, the adidas Decade Hi’s have been hugging the feet of basketball players and sneaker-heads everywhere. This recent take on the classic model maintains a very old school vibe, thanks to its stand-out design and retro colors. 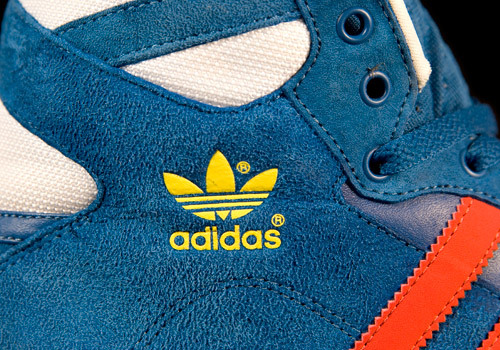 This particular colorway – “lone” blue, “light scarlet”, and “bluebird” – came complete with an extra pair of yellow laces to match the pivot point on the outsole. 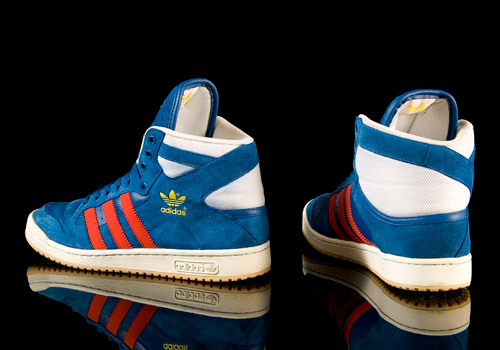 Although these remakes were released almost thirty years after the Decade’s initial debut, it seems the tall-tongued model will remain a timeless piece of footwear. 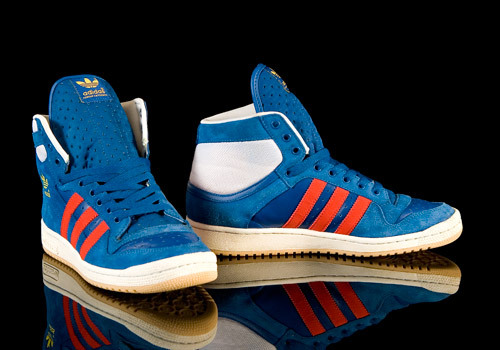 These 2011 remakes are made from a very soft suede, a slick leather, and plush nylon, all of which are high quality ingredients. 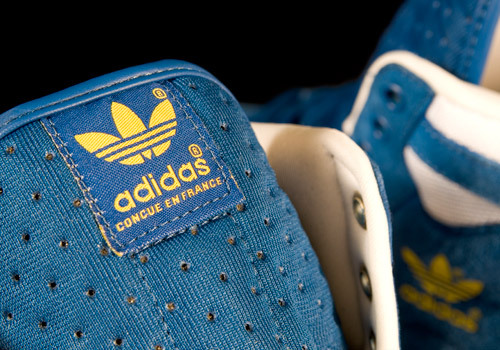 Designed in France, they feature a large X-shaped outer side wall that wraps around the upper heel to provide ample ankle support, just as the OG version from ’85 did. 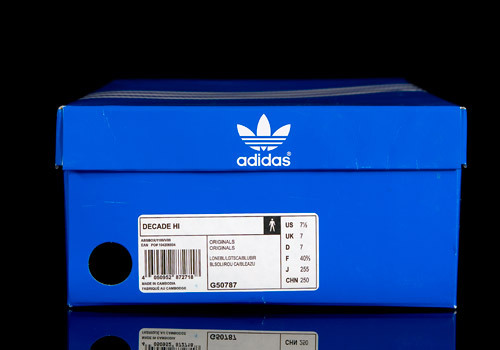 These Decades are some of the nicest we’ve seen as far as simplistic design goes from the trefoil team in the Fall of 2011. The colors really pop to illustrate a flashy (yet not over-done) look that we greatly enjoy to see in a pair of retro sneakers. 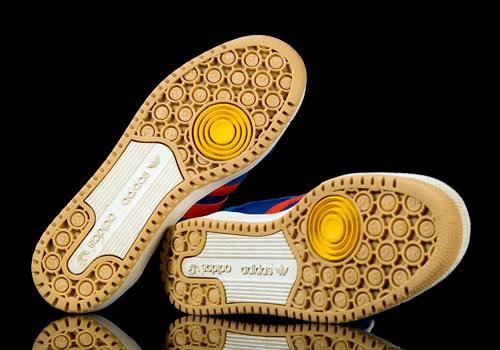 Added perforation on the shoe provides breathability, helping to keep feet happy and prevent heat-induced suffocation; a common side effect of high tops such as these. And in a hot climate, such a feature can save a man’s life… in style.